The editor travelled for several decades throughout the United Kingdom, Canada, the United States, and Australia (with side trips to Finland, France, and Greece) to collect the rarest, most beautiful, most irresistible contemporary sonnets. The trip was fruitful. Among many colorful characters, the editor found Old Tom in the garden, a bull rider from the American West, God's secretary in His Office, the magician's bashful daughter, and Aunt Mim and Uncle Jimmy at the Rehab Lounge. Published by Headmistress Press on March 31, 2014, Irresistible Sonnets consists of 71 sonnets by 71 living poets. There are city poets, country poets, older poets, younger poets, 43 women poets, 28 men poets, rising poets, and poets laureate. Of requiems, revivals, and chores, death and desire, remembrance and music, 'sapphire dawns' and 'dew-sharp gardens, ' lingering language-every poem in this collection sings words in new ways. Some tell stories with beginnings and endings lost in thought; grand dreams, simple dreams, the prosaic becomes profound. 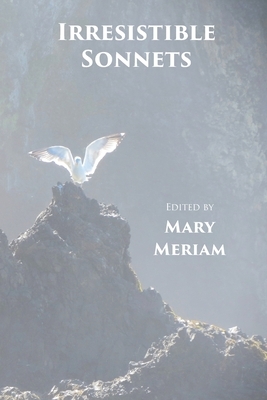 In this book of poetry, of sonnets, a single poetic shape is reshaped by diverse modern poets who, as Mary Meriam states in her Preface, create 'an intimate dance between poet and form.' This is a treasure that you must allow to ravish you slowly. -Robin Williams, Author of Sweet Swan of Avon: Did a Woman Write Shakespeare? The sonnet has seen a resurgence in recent years, and with that resurgence we have gotten anthologies of the things, to the point that the bar for a new multi-author collection of sonnets is pretty damn high. "Irresistible Sonnets"? As in "sonnets that one cannot resist, even with... I dunno... Jedi Mind Tricks or some such"? Really? Well, now that you mention it.... Mary Meriam of Headmistress Press (fantastic name ) has created a varied anthology with many names I knew and others I'm glad I know now. Yet as a book, despite the multitude of styles herein and indeed through their combination, Irresistible Sonnets has a personality, at times whimsical, at times serious, but always passionate. You should get this book. I would if I were you. The sonnet embodies the "turn" (volta) from the Middle Ages to the Renaissance, and today still offers us a turn towards introspection, interior dialogue and contemplation. Its fourteen lines provide the poet with a nutshell of infinite space: challenging, compact, yet liberating-even surprising-with its possibilities of multifaceted form. This stunning collection of "Irresistible Sonnets," like a handful of snowflakes, contains no two alike. They continue a tradition initiated by Petrarch, Dante and Sidney-a dialogue between self and other self-in which much more remains to be said. Mary Meriam's anthology reminds us of the semantic and sonic miracles that can happen in the compressed room of the sonnet. From the elevated diction of Anne Stevenson's moving elegy "The Circle" and Anne Drysdale's humorously elegant portrait of "A Cat in the Garden" to intimate, colloquial portraits such as Jason Lee Brown's "Chores with my Father" and Suzanne J. Doyle's "Demon Rum," Meriam has assembled a collection of arresting, frequently astonishing poems that prove the sonnet is still alive and well, emotionally urgent, linguistically inventive, and, just as the title promises, irresistible.